Bill Hoehler is one of the original directors of the St. Francis Sailing Foundation and is currently its Secretary and Treasurer. He has been sailing and involved with sailing for over 40 years. 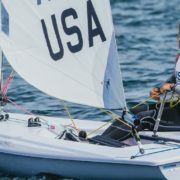 He currently races a J/105 because talented young people are still willing to race with him. To support his sailing addiction, Bill is a trusts and estates attorney at Hanson Bridgett LLP. He is Past Commodore of the Tiburon Yacht Club, a director and secretary of the Treasure Island Sailing Center Foundation and a director of Friends of Laguna Honda. 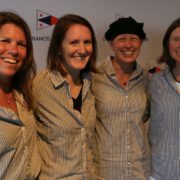 Bill is with the St. Francis Sailing Foundation because he believes that competitive sailing is a powerful tool to teach basic life lessons, including mental discipline, responsibility and teamwork.